Boston police are trying to find out more about a brutal stabbing in East Boston, and they want the public's help identifying three people who may know more about the incident. Police are asking the public to help them identify three people seen in surveillance photos in connection with their investigation into an East Boston stabbing. Officers responded to a call for a person stabbed in the area of Chelsea Street, outside Medallo Bar in East Boston just before 2 a.m. Sunday. When officers arrived, they found a man suffering from a stab wound. Boston police say the individuals in the photos are not wanted as suspects. They are only looking to identify them at this time to see if they can help with the investigation. Boston police are asking the public to help them identify these three people. People in the area say they are surprised by the incident. Esneda Piedrahita works in the area and she says she is surprised that something so violent happened in public. 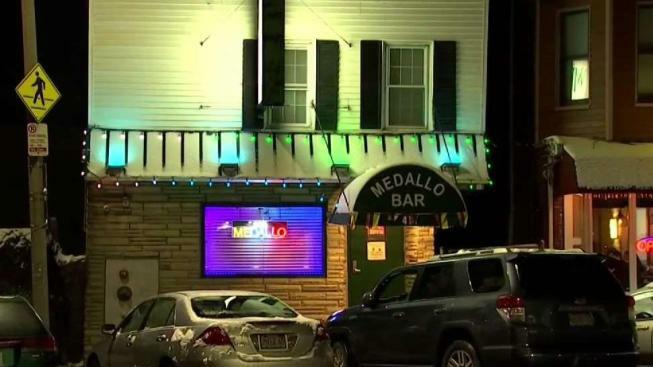 The people who run Medallo Bar didn't want to comment to NBC10 Boston Monday night. The victim hasn't been identified by officials, but his friends tell NBC10 Boston that he owns Super Class Barbershop in Revere. Authorities haven't made any arrests in the case yet. They say they are still working to piece together how it all unfolded. Anyone with information is asked to contact Boston Police Homicide Detectives at 617-343-4470. People can also anonymously assist in the investigation by calling 1-800-494-TIPS or by texting the word TIP to CRIME (27463).